The first Saturday of every May brings with it the thunder of horses down the homestretch of Churchill Downs as they compete to be crowned the winner of the annual Kentucky Derby. 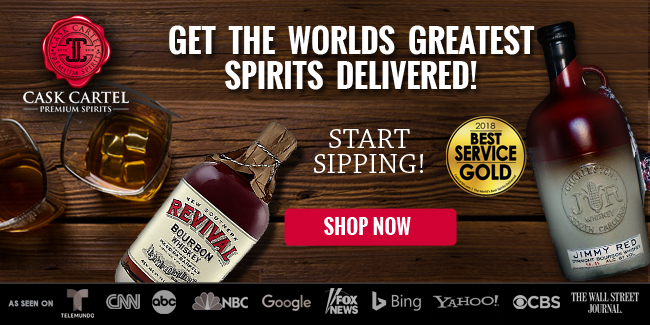 Along with giving women an excuse to wear fashionable hats and men a chance to don seersucker suits, the Derby also gives everyone an excuse to enjoy a glass (or three) of the most iconic drink associated with it, the mint julep! The mint julep has been promoted and associated with the Derby since the tail end of the 1930’s. According to Churchill Downs, 120,000 mint juleps are served at the Kentucky Derby every year. In order to make all these juleps, Churchill Downs goes through 1,000 pounds of freshly harvested mint, 60,000 pounds of ice, and over 10,000 bottles of Old Forester mint julep mix. Since the early 1800’s this delicious and refreshing mixture of sugar, water, mint leaves, bourbon, and crushed ice has delighted all of those who have had a chance to try one. 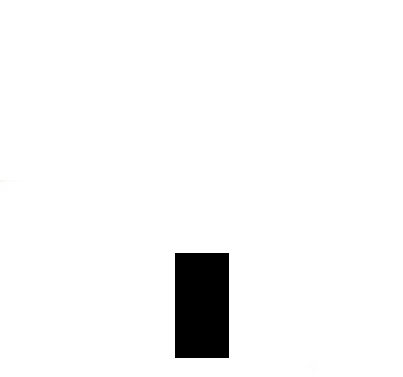 While the concept is quite simple, the execution is anything but. 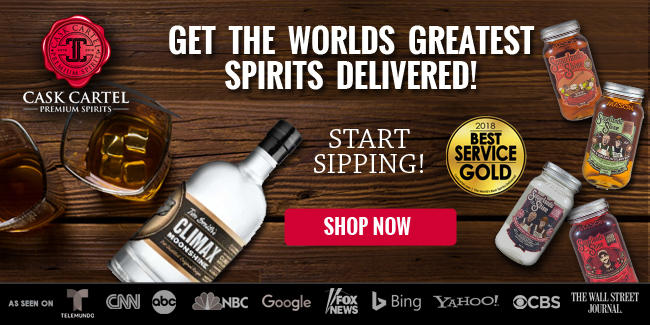 Variations abound of the best way to make a mint julep, with each recipe claiming to be the “ultimate” or the “best.” On top of having choices as to what recipe to follow to make a mint julep, consumers also have multiple premixed juleps to choose from. 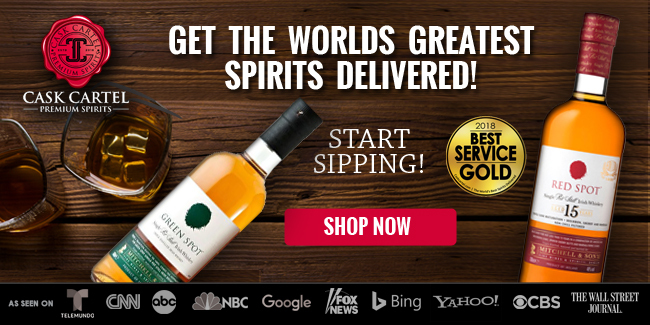 These whiskey based mixtures all claim to be a perfect julep in a bottle, with the only additional ingredients necessary being crushed ice and an optional sprig of mint. 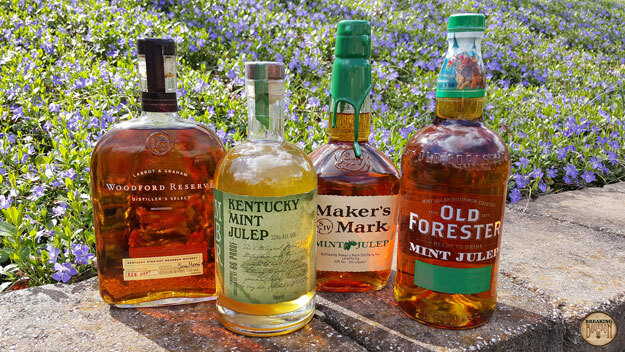 Having had a chance to drink many mint juleps during my time living in Kentucky, I was interested to see how all of these premixed julep bottles stacked up against not only one another, but also against a handmade julep. For the handmade julep, I went with Woodford Reserve’s mint julep recipe since Woodford is the official bourbon of the Kentucky Derby. To get to the bottom of all of this, I crushed a lot of ice and bought a lot of mint and got to drinking a lot of juleps! 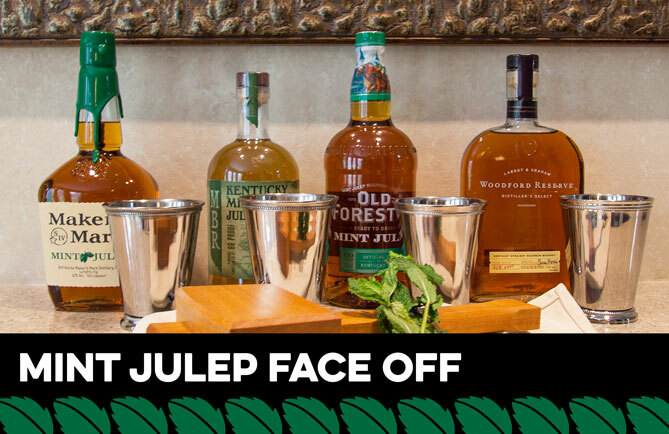 Each of the three premixed julep contenders for this ultimate Mint Julep Face Off was made according to the directions on the bottle. 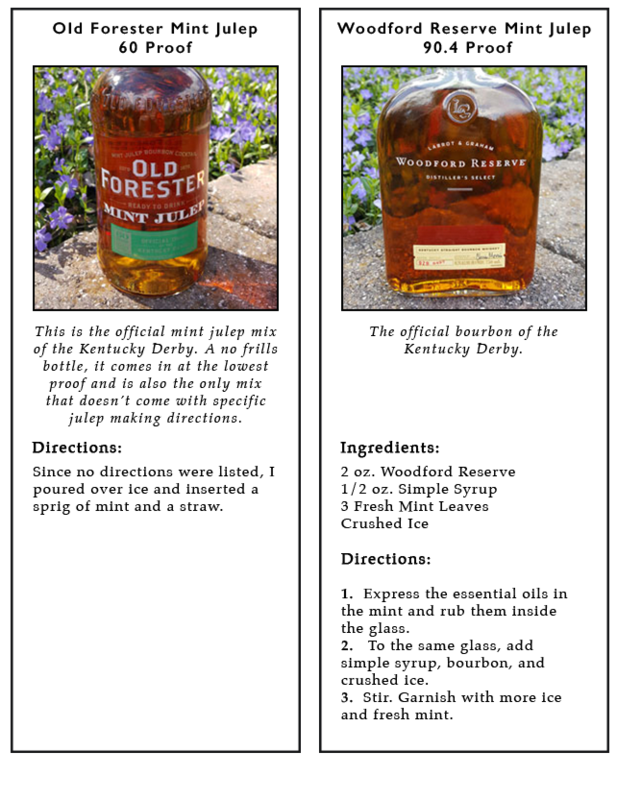 For the handmade mint julep, I followed the recipe on the Woodford Reserve website. To make this way more official than it needed to be, I really got into the act. Stainless steel julep cups were purchased, along with an ice mallet and ice bag to hand crush all of the ice used for each julep. All juleps were made according to the recipes listed above and then were blindly handed to me one by one to sample, review, and rank. The first mint julep blindly handed to me is noticeably sugary. Light on mint with a weak bourbon profile, this julep leaves a light sugar and mint aftertaste on my mouth well after drinking. After tasting all of the other juleps and coming back to this one again, it’s clearly my least favorite of the bunch. Due to the lightness of the bourbon flavor profile, my initial impression is that this is Old Forester. The second julep up is more bourbon forward and contains a lighter sugar profile. While the julep gives off a great mint smell, the actual flavor profile isn’t that minty at all. Due to the bourbon forward profile my initial impression is that this is the handmade Woodford julep. This julep is surprising. It contains almost no sugar and has a very light mint flavor profile. 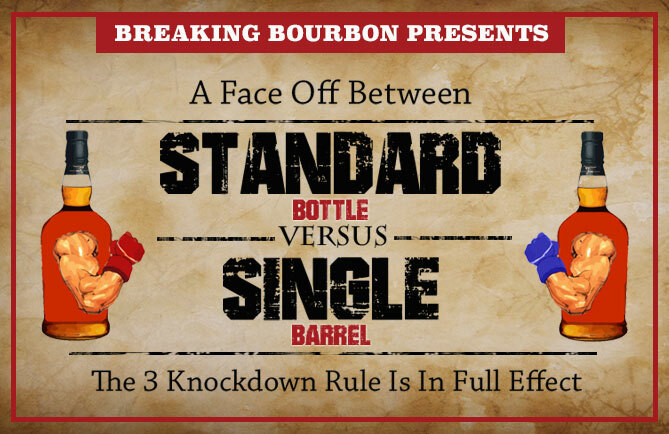 What it does contain is a stronger hint of bourbon compared to the others and really reminds you that you’re drinking a bourbon based drink. 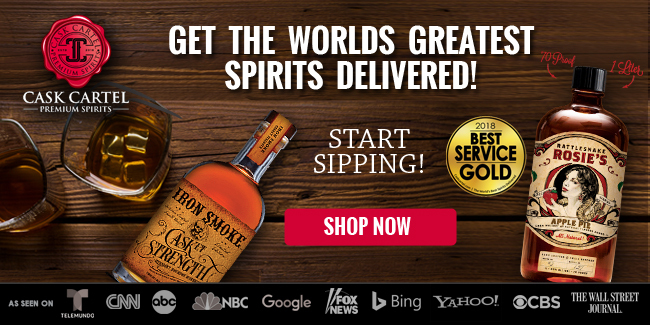 My assumption is Maker’s Mark. This julep is completely different all around. The sugar and mint taste completely different and instead of a strong bourbon flavor, I’m presented with a very strong younger corn forward whiskey. Only one bottle could contain that profile, and that’s MB Roland. This was really surprising to me! 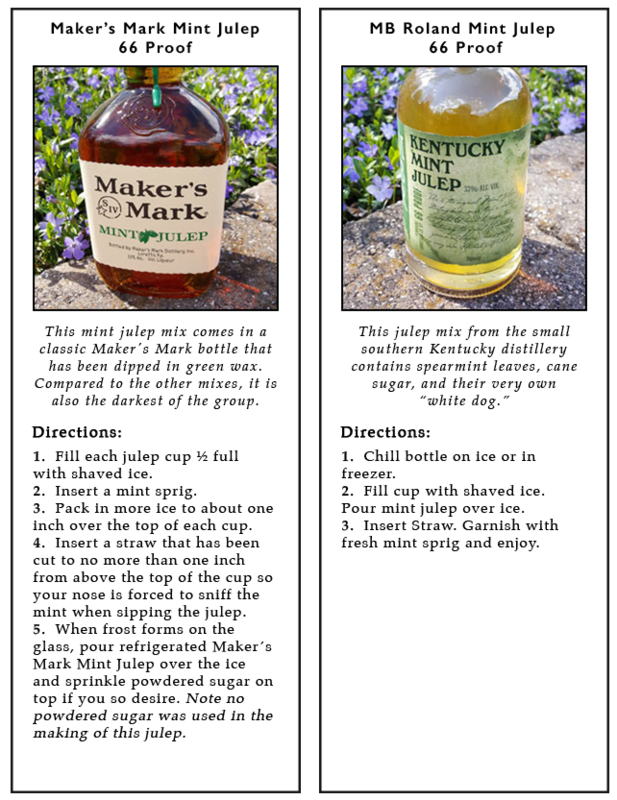 My mistake was assuming that because the julep was dark in the bottle it would contain a more pronounced bourbon flavor profile like I’d expect out of a bottle of regular Makers. Instead, this mix was just disappointing. It tasted the most manufactured of the group and had the worst aftertaste. 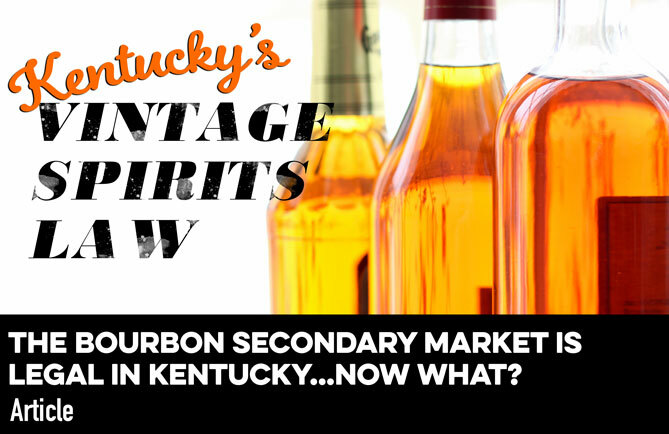 For being only 60 proof, it came across as a more bourbon forward drink than it had any right to. It’s actually well balanced albite light on the mint. It was not as sugary as the Makers and MB Roland juleps, which made it easier to drink more of. Not only was it the best tasting premixed bottle of the bunch, it was also the easiest to make, as you only needed to add ice to the mix. From bottle-to-party drink in about two seconds flat. I guess in the end you can try to bottle a cocktail, but the original still holds true as the best. 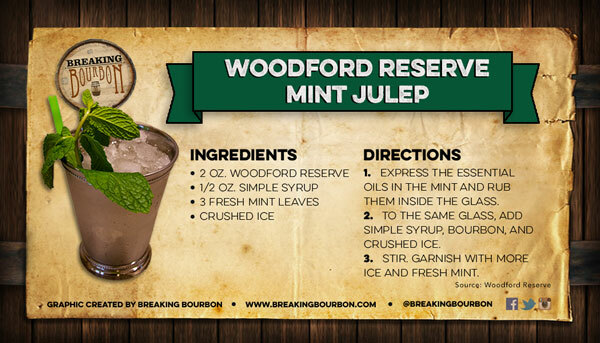 The recipe listed on Woodford’s website resulted in an all-around delicious mint julep. Additionally, if the initial julep you make doesn’t meet your needs, you always have the ability to add more or less of any ingredient to your liking. This was a more enlightening Face Off than I thought it would be. 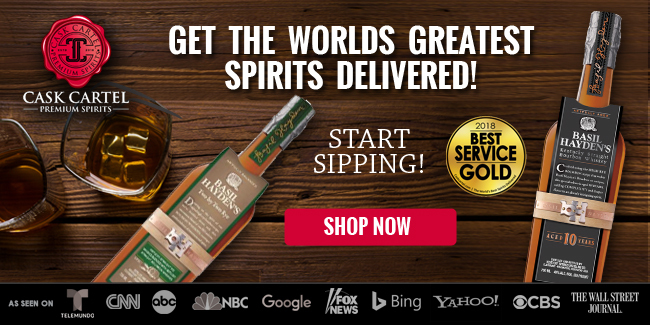 It turns out there’s a reason that Brown-Forman owns the mint julep category when it comes to both premixed bottles and being the official bourbon of the Kentucky Derby. 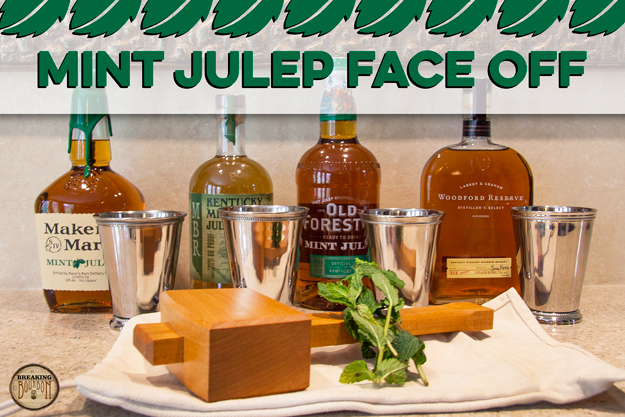 If you’re hosting a derby party and need a quick and easy julep fix for your guests, look no further than their Old Forester premixed julep. 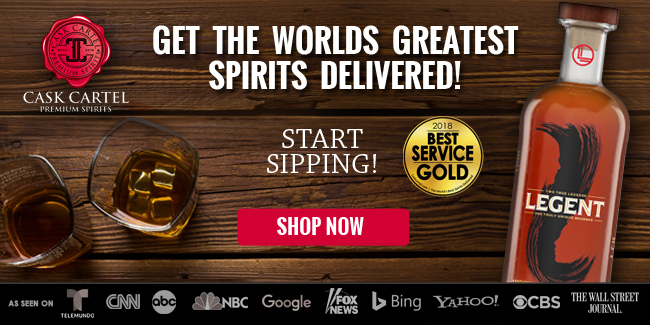 And if you have a little more time on your hands, then dive in and use their Woodford mint julep recipe to whip up some amazing handmade juleps. Either way, whatever option you choose, don’t forget the mint!